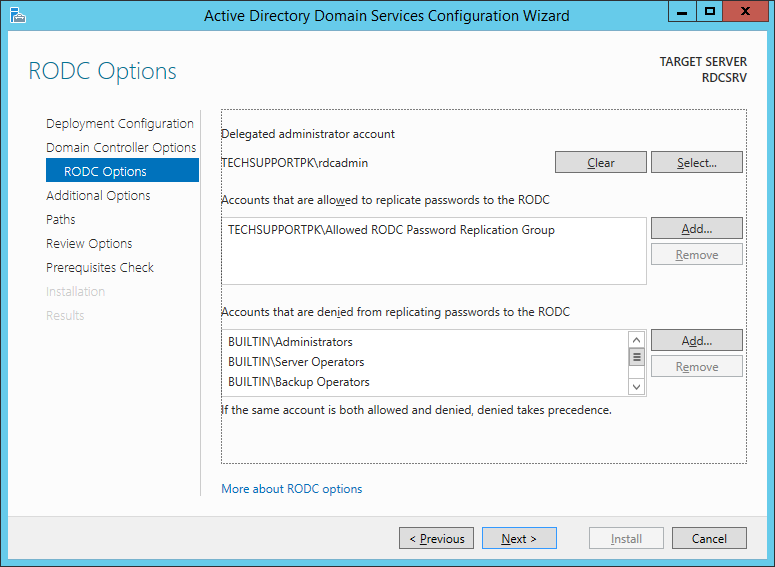 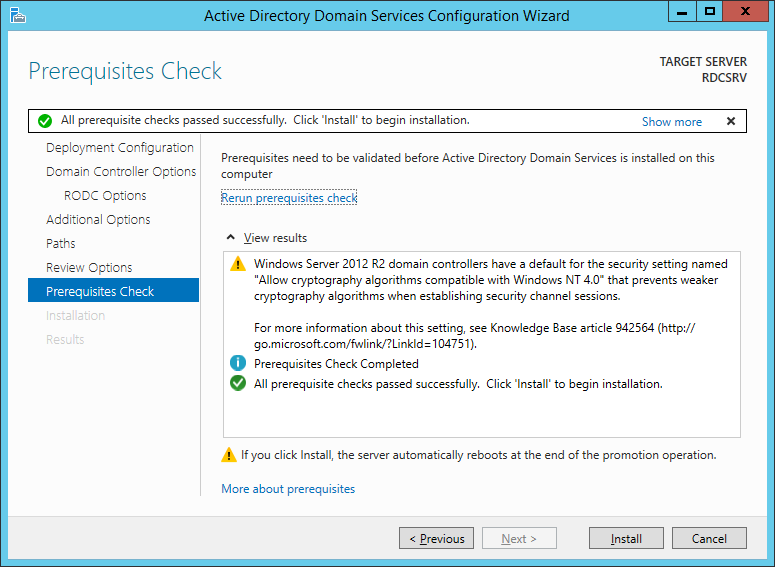 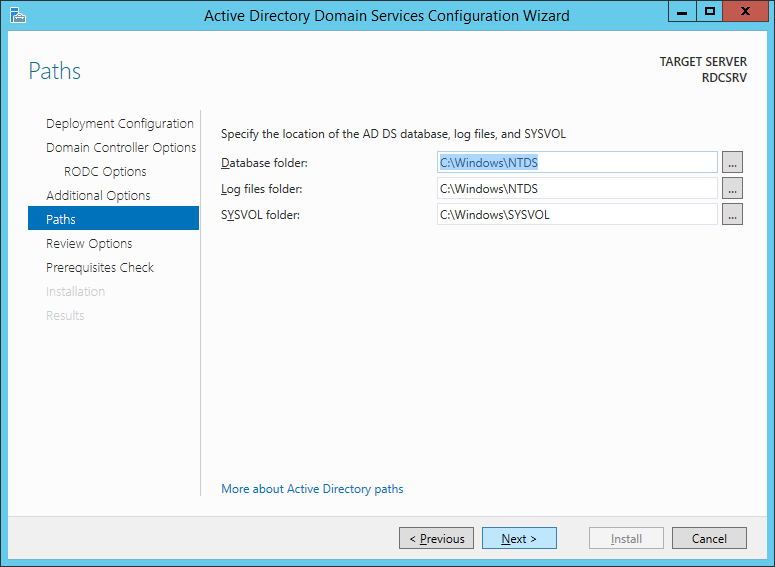 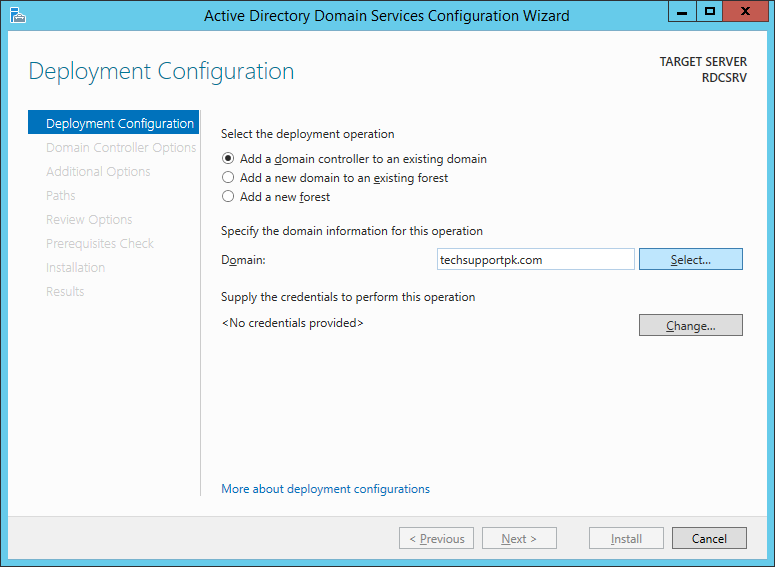 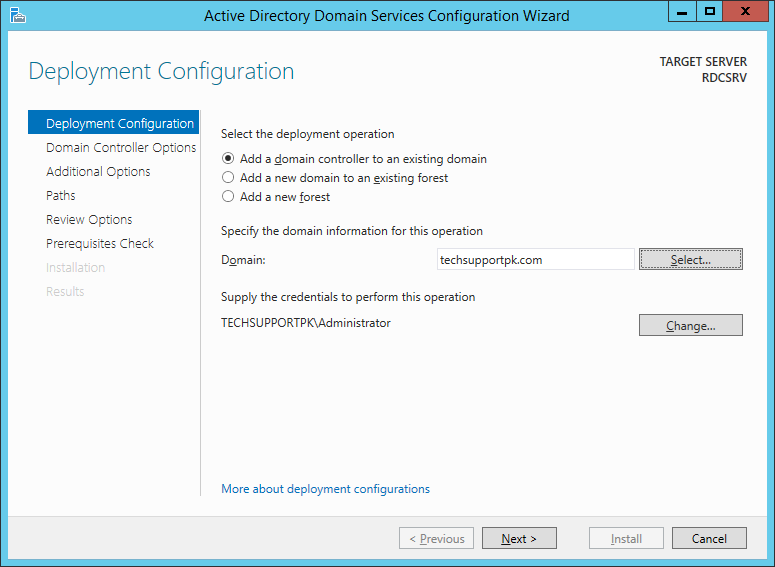 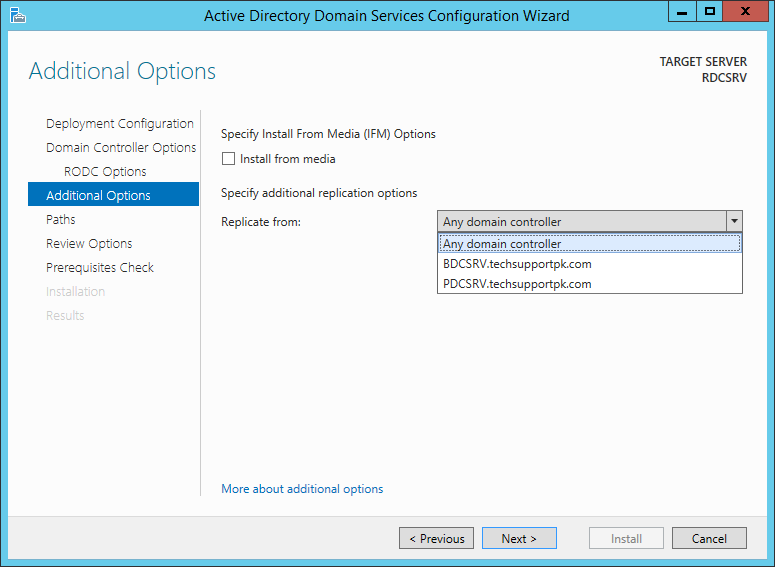 Follow the same steps to add Active Directory Domain Services and DNS roles as mentioned in previous article. 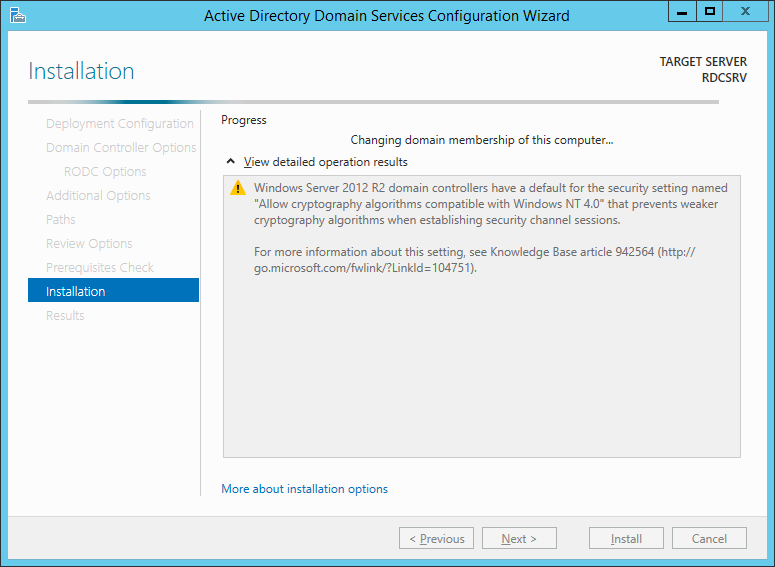 Once roles and features installation completed, move to next step. 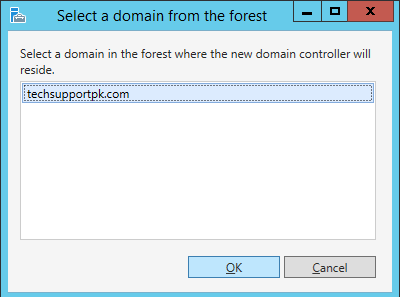 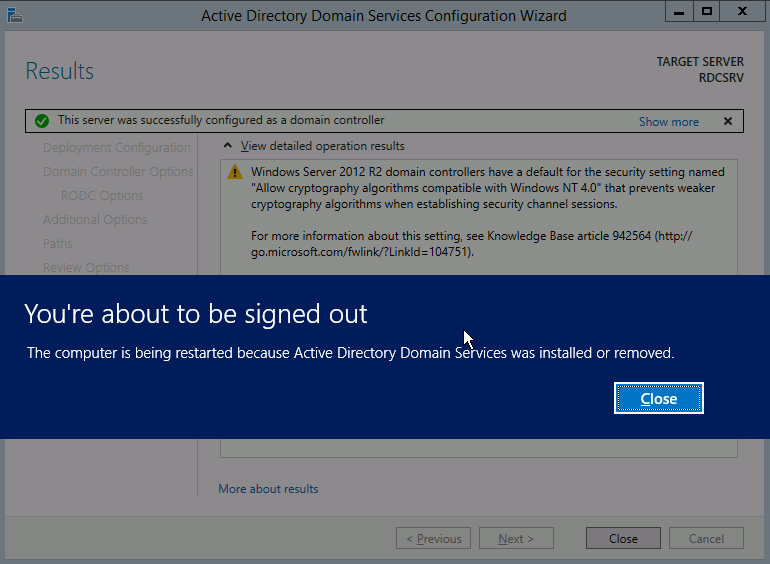 Click [Add a domain controller to an existing domain] enter domain name under Domain box and Click Select. 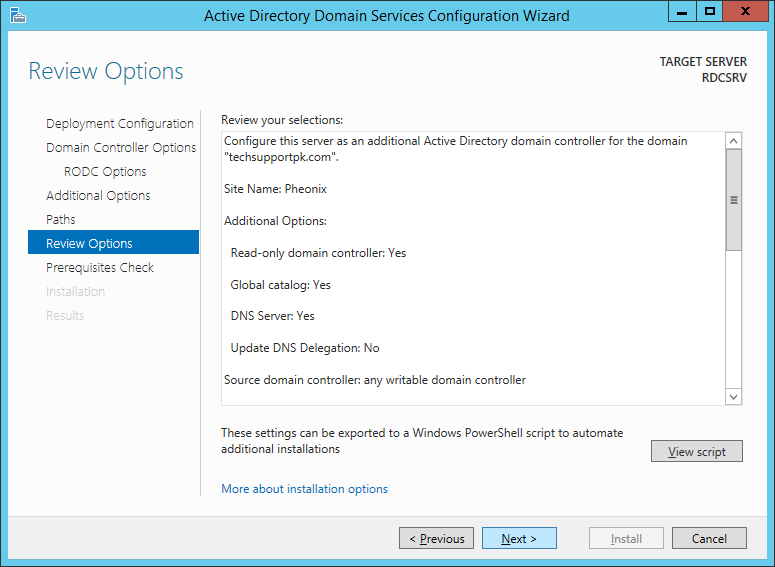 Select Phoenix from Site box, enter DSRM password and Click Next. 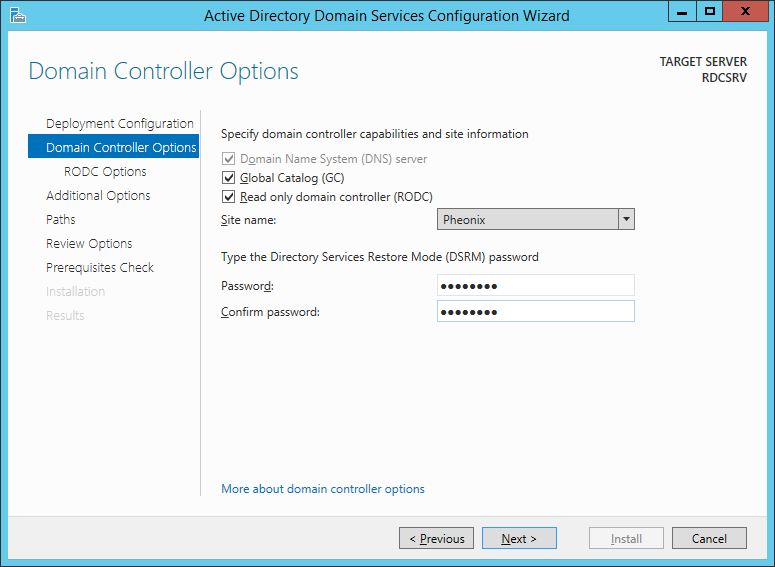 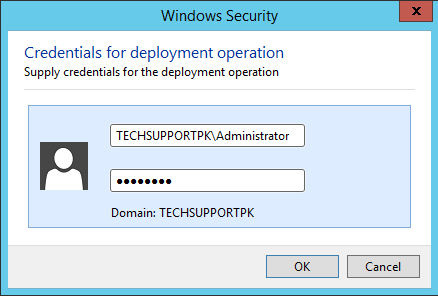 We have completed Active Directory setup for Parent, Additional and Read only domain controller.